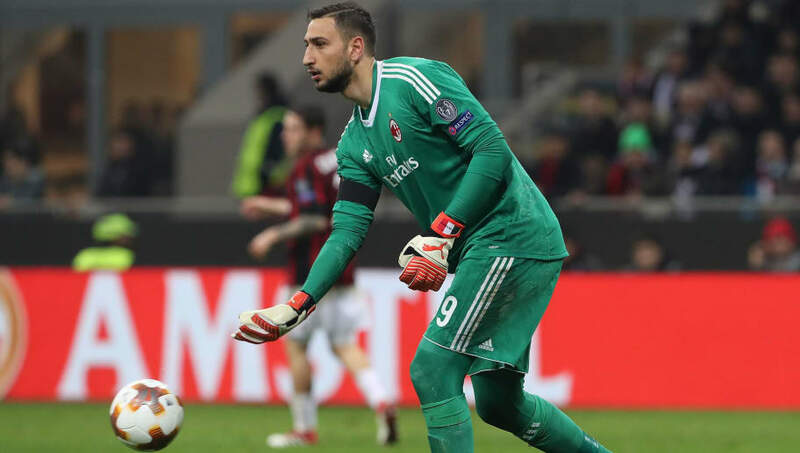 ​AC Milan and Italy goalkeeping sensation ​Gianluigi Donnarumma could leave the Serie A club for a knock-down price, if they fail to make the Champions League this season, according to reports. The 19-year-old has been Milan's first choice goalkeeper this season, playing in every Serie A game, and according to Italian outlet La Gazzetta dello Sport (via ​Calciomercato), a clause in the youngster's contract allows him to depart for €40m should Milan fail to qualify for the Champions League. The Italian club currently sit in fifth place in Serie A, with a gap of four points to rivals Inter in fourth place. With only 10 games of the season left the play, it is looking increasingly likely that the clause in Donnarumma's contract will be activated. Earlier in the week, the goalkeeper's agent seemed to hint that a move away from the club was likely by ​insisting that he wanted the incoming Pepe Reina to become first choice at Milan, and the report claims that the agent will be pushing for a move in the summer. Clubs linked with Donnarumma in recent times include ​Real Madrid, Paris Saint-Germain and ​Manchester United. The news of the in demand man being available for a lower price than last season is likely to pique the interest of many clubs at the top of the game. All of this could change if Milan do manage to grab a top four place in Serie A to qualify for the Champions League. The club are currently on a streak of five straight victories, and if they carry on that form, then clubs may have to dig a bit deeper in order to prize the 'keeper away from San Siro.